B&B PURE is a minimalistic and stylish headphone that’s funding on Kickstarter. 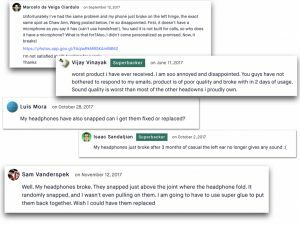 In this article, we will quickly walk you through this headphone campaign, and ultimately, you will learn whether if you should spend money on this new headphone. A high-quality headphone with amazing sound quality isn’t a thing in 2018 anymore. Not only that it must have an aesthetically pleasing design and robust function, the thoughtful personalization is actually the key to winning the battle. With the belt of “Kickstarter we love”, B&B PURE is claimed to be the smart headphone that customizes to your hearing profile. In fact, we have been covered a number of good headphones before, so they can’t really fool us. Enough for the talk, let’s move on to the fact. Firstly, the moderate-to-low sound quality. Each of the B&B PURE costs you well over $200 ($15 shipping excluding customs duty), and at this price point, it should be comparable to the better headphone like this one by Audio Technica. However, just from the item specification alone, B&B PURE is apparently poorer and not even comparable to QC 35ii. So if you’re looking for a real deal on sound quality, this is not for you. It primarily focuses more on the utility part, such as foldable, auto-pause and integrated cable. 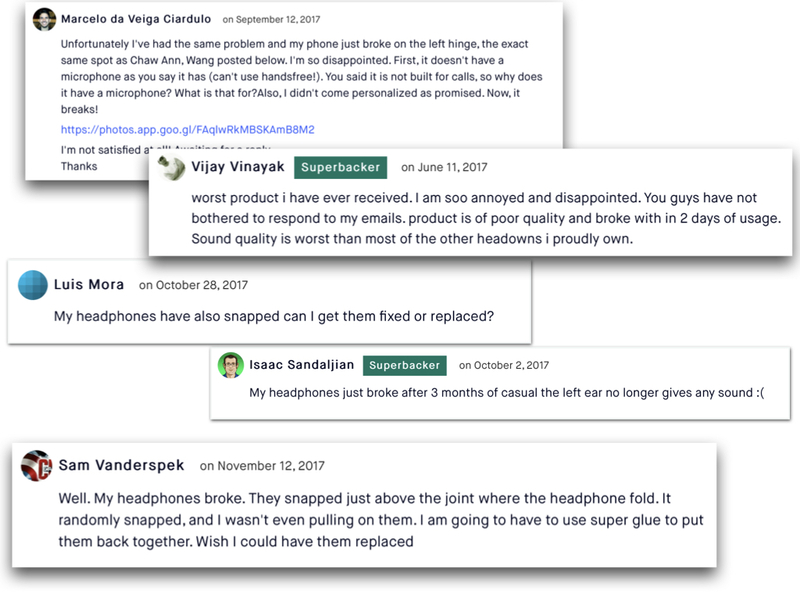 Judging from the response of their previous backers who supported the 1.0 version of B&B headphone called B&B Air, there were not many complaints about the sound quality. For sure, durability is a point that can’t be compromised. As for the newer B&B PURE version, there are basically two features added to the older version — the hearing profile test and integrated cable. While a little has been done on structural/material changes, so be prepared that the B&B PURE will also be having the same problem. For that, we’d suggest the creator came out with a video for durability test, so to regain the trust from backers. What is new — Glass fiber included for added strength. Although the auto-pause feature can be very handy in some scenario, as to me, it’s none other than just another gimmicky feature. As the auto-pause is triggered when you slightly tilting the headphone horizontally, the music will then be paused. That said, there will surely be a lot of PAUSES happening, such as when you tilting your head backward/downward, lying down, picking up something, wear it the other way (headband at the back), and more. For sure, you can press the play button or just turn the feature off completely via the app, but then, it will be not much different from your regular headphone. Another concern is on the hearing profile feature. As advertised, you can create multiple profiles for each of your headphone users in a family, however, you can’t customize the preset for only the left or right ear separately. And, it’s not a good news for those who have hearing issues on just one side of the ear. Smart Assitant – Siri, Google Assitant and Alexa.